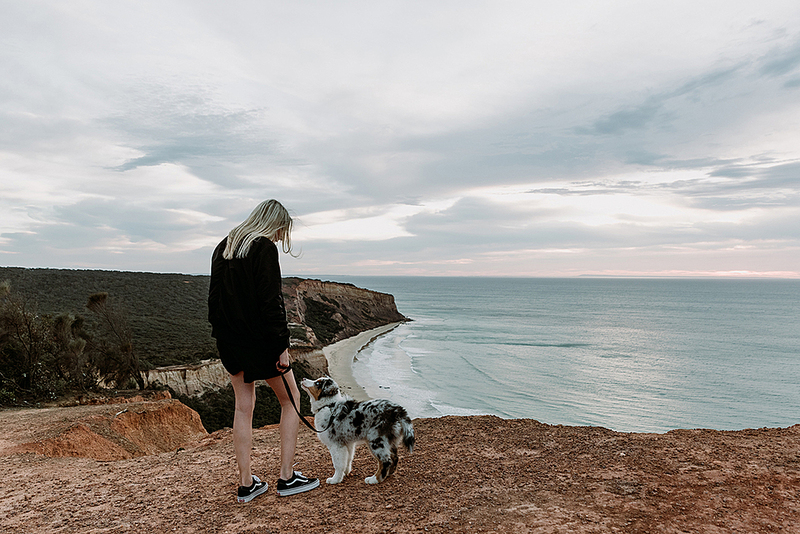 Travelling with a pup around Australia can be challenging at times but I was happy to find out that some stunning locations along the Great Ocean Road allow dogs to visit on a leash. This is when we came across the Vintage Pearl beach shack, a pet friendly accommodation in Anglesea that ticked all the boxes for our relaxed weekend not too far from Melbourne. We arrived in Anglesea late in the morning and we decided to stop at ‘4 Kings’ for brunch, a pet friendly cafe that serves yummy food and coffee. Don’t forget to order some cake before you leave to take away with you, so good! After enjoying the warm day in town, we reached the Shack, our accommodation for the next two days, and settled in to discover all the vintage quirky details of the house. The chill vibes and colourful furniture around the house made us (puppy included) feel comfortable and right at home. As our first time road tripping with our dog, we decided to go exploring before sunset to find out what spots along the coast allowed our puppy Kai to visit. First up was Point Addis National Park. 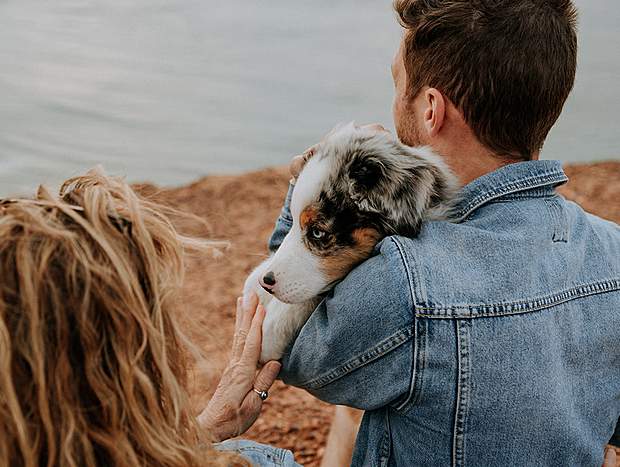 The views from up here are stunning and there are many different walking trails you can follow with your dog on a leash. We drove straight to Point Addis lookout parking lot where we enjoyed the coastal views as the sun started to set and walked down the beach to find surfers and other dogs playing on the sand. The good weather forecast pushed us to return to Point Addis once again the next day, this time for sunrise. Kai seemed excited to jump in the car and head out while still dark outside. We drove to the first carpark on the way to Point Addis lookout around 6 am as the sky started to turn red. Here, we decided to follow the Koori culture walk, a 2km trail in the bush where you can find out about the indigenous people's way of life. This short walk is part of the Surf Coast walk and it offers stunning views of the coloured coastline and the sun rising from the water. After an easy 10-15 mins walk, the path opens up to a lookout where you can take in the breathtaking sunrise views, my favourite way to start the day! After Sunrise, we made our way back to the car, but not before checking out another spot along the Koori trail, Addiscot Beach. This long sandy beach surrounded by cliffs is a beautiful spot to take your dog for a walk along the shore or go for a swim. This is also a good spot for surfing and snorkelling when the weather conditions are right. With the whole day still in front of us, we decided to head towards Ayers Inlet, the coastal town home of the iconic Split Point Lighthouse. The lighthouse, which overlooks the inlet, is still functioning today and was completely deserted that early in the morning. From there you can follow the short walking trails down for more views of the nearby beaches and cliffs or head back to the car park where there are plenty of good spots for a picnic.